Located in the classified quarter of the palace of the archbishops, of course Mirabeau and with 400 meters of the Halles, we propose you our flat part of a discrete secured bourgeois building of the XVIIIe century. The gate opens onto a covered passageway leading to the hall with woodwork and a carpet of cement tiles. The gray stone staircase and its wrought iron railing, leads you to our APARTMENT located only on the first floor. Appreciable in everyday life when one is charged. As soon as you arrive, our BOUDOIR invites you to sit in the sofa to enjoy a good Nespresso coffee after putting your jacket in the vast wardrobe whose doors. Spare room with bed 160, toilet and bathroom to share, no meals on site, free WiFi. Homestay with breakfast included. 2 WC, bathroom to share (basin and hydro shower). Bed 140, desk and Wifi. Possible access to the jacuzzi. In an authentic setting, discover nature! Surrounded by vineyards, cicadas and crickets, if you like it, we will not hesitate to give you the keys of the house. Spacious and pleasant, you will find everything you need inside. Do not load your luggage! I provide sheets and towels and pool. We have a pool that we share if that tells you and a barbecue where the strains are nearby. In residential area that consists of villas, supermarket nearby. 12 km of beaches. Rent room of 12 m2 consists of a bed, closet, dresser, bedroom upstairs. Bathroom shower two basins and bath upstairs, two toilets, one upstairs and one on the ground floor. outdoor pool, terrace, outdoor shower, garden features barbecue. kitchen with a hob, microwave, coffee machine, dishwasher and fridge freezer. Washing machine in the garage with outside clothes line, dining room. Salon consists of two sofas armchair. Internet access. Villa three faces of 160 m2 on plot of 450 m2 closed. Room of 50 m² homestay for 1 or 2 people, with direct and independent access, in a private villa. Parking space available. Room equipped with a bed 140, sofa bed 140 (20 € per additional person (maximum 4 people)), TV, sitting area, and WiFi. Bathroom and WC common. Accessible swimming pool. Provision of sheets. No animals. No meals in the room. Possibility of taking the meal in the garden that you bring back or that I prepare you for 5 € the meal. We are two sisters roommate and we offer a room exclusively for women. Guests have access to the internet, a kitchen and a collective shower. || || The room does not have beds, you have to sleep on the floor on a mattress. To access to health, we have to go through one end of the room where you will stay. One of us is a veiled woman, a practicing Muslim. We reside in the downtown core. I propose a T2 of 43 m ², on the 2nd floor of an old and clean building. Very luminous apartment, with double windows, an American kitchen, a dining room, and a living room. At disposal: 1 room without storage, a roomy bathroom with tub, and a separated toilet. Intercom available. Preferably for a retired person. Rooms for rent, all load ranges, located on the ground floor, area: 10 sqm plus bathroom, separate toilet, quiet area, near Narbonne 7 minutes from downtown. Be suitable for transient or for a stopover of a few days or student (school bus to 200 m). Retail for 300 m, supermarket about 8 minutes. bright, We are retired and practice hiking, we love nature and friendliness. Sea 25 km, mountain 80 km, 100 km Spain, Carcassonne airport and 55 km. It is in the heart of the Massif de Fontfroide, just minutes from the historic center of Narbonne, the Château de Jonquières welcomes you. You can enjoy the quiet and natural environment to relax. 4 guest rooms (4 stars) and 2 cottages (2 ears) are available year round upon reservation. On the banks of the canal, 7 km from Narbonne and 20 km from the beaches, Henri and Marie-Thé welcome you in their large country house Languedoc. Under the large pool house, poolside, we serve breakfast in a very pleasant and friendly. 2 bedrooms and 2 family suites, non-smoking, spacious and air conditioned, have a bathroom and a WC. In the countryside and quiet, the field of Clémentière is a pleasant stop for relaxation, discover the Cathar hinterland and the accession to the beaches. Pets are allowed on request. Price including breakfast. Reception from 18 hours. Rent all charges included, rooms on the floor with room of water, separated TOILET and television in a vast entrance. Possibility to sleep 5 people, bedroom with 1 double bed plus a second bedroom with 2 twin beds plus 1 sleeping in large entrance. Beautiful sunny view double glazing, roller shutter, air conditioning and heating. Possibility of breakfast and / or meals taken at the shared table, ideal for a few days rest and visited the area. Sea at 25 km, mountain 80 km, Spain 100 km, Carcassonne and airport 50 km and railway station Narbonne 10 km. Possibility of caravan. Suitable for anyone to make a friendly and friendly stopover. At Salles d'Aude, 10 minutes from Narbonne, I rent a large furnished room with desk and private bathroom; the common rooms are equipped kitchen with American refrigerator, stay with fireplace overlooking terrace, garden with swimming pool, the terrace has a very nice spa in winter. I should point out that the house is large, 180 m² on 3 levels; each in his living space. I work in real estate and I also live in this house. Feel free to contact me for more information! Le Mas du Soleilla is a small winery located between Narbonne and the Mediterranean. The site is unique. The vineyards and the wines are treated with knowledge and passion. Our five guest rooms allow you to stay in the forefront of this beautiful landscape. The view over the vineyards, walks in the wild garrigue and near the coast of the Mediterranean make it an exquisite rest. Contact us for availability! Give yourself time for a night, a weekend, a week or more in a tranquil world! Because holidays are unique, we offer, in a nice house, comfortable accommodation in a designer house where you can enjoy a peaceful and friendly atmosphere. It is friends that we receive, we do everything to make you succumb, like us, the charm of the house and its surroundings. The intimacy and hospitality that we will book you will make your stay a real delight. So you can write the most beautiful pages of your holiday and you will not want to leave. One wish: return quickly "Au Fil de l'Aude." Old renovated barn with garden, terrace, semi inground wooden 3.5 x 5.5 m. The house in r 1 of 180 m2, has 5 bedrooms, 3 bathrooms with Italian including a master suite, an outdoor summer kitchen, 3 car parking lot, a discount of more than 20 m2 and 2 inputs. Quality materials (parquet floors and polished concrete). The house is in a village of Clape 10 minutes from the beaches. A warm welcome awaits you at "Blue Shutters", a large 'mansion' on the canal in the village of Sallèles-Aude. Very well located for tourism, car, bike / mountain biking, motorbike, on foot. A wide range of visits to this: Narbonne, the beaches of the Mediterranean, Carcassonne, the Canal du Midi, Abbey Fontfroide, hiking, winery tours and much more. We offer 5 large and beautiful rooms (all with private bathroom, shower room and WC). Breakfast buffet. Guest table with renowned wines. Shaded terrace and large garage. Pets allowed. Do not hesitate to contact us! We are at your disposal. A soon! furnished room, equipped with a 160 bed, a large closet, a flat screen TV and a private bathroom with an Italian shower and a sink. WC. area: kitchen and corner washing machine. The location is in a new house, to share with the owner. Property with electric gate, garden. This proposal is the formula excluding holidays. Holiday formula: absent owner and the possibility of two bedrooms with 160 bed and 2 bathrooms and 2 toilets. Location pour 4 adultes et 2 enfants. Non fumeur. Pas d'animaux. Située à 100 m de la plage, entre mer, massif et lagune. Superficie de 45 m², pièce commune, 1 chambre, une très grande chambre mezzanine. La maison doit être rendue aussi propre qu’à l’arrivée, sinon 70 € seront déduits de la caution. Refaite complètement à neuf fin 2016. Rez-de-chaussée. Pièce à vivre de 20 m²: cuisine équipée, 1 mini four, 1 micro-onde, 2 plaques de cuisson électrique, 1 combiné frigidaire-congélateur, 1 table avec 4 chaises, 1 BZ, 1 télévision avec télécommande, 1 radiateur. 1 chambre: lit-pont pour 2 personnes, oreillers, couvertures, couvre-lit fournis, 1 radiateur, 1 belle lampe de chevet à double ampoules. Salle d'eau: douche avec porte-savon, machine à laver le linge, armoire de toilette, lavabo, étagère, 2 miroirs, 2 porte-serviettes, 1 radiateur. 1 WC séparé. Holiday rental in a quiet residence with parking space: bedroom with double bed. In the living room, double sofa bed. Fully equipped kitchen, private courtyard, air conditioning, internet. Desideri trovare una locazione a Narbona ? Narbona è un'affascinante città situata in Francia. Con Roomlala, gli abitanti Narbona sono felici di accoglierti, poco importa la ragione della tua locazione (turismo, viaggio, lavoro, stage, studi, ecc.). Il sito è a tua disposizione per aiutarti a trovare una locazione arredata a Narbona o una camera presso l'abitante a Narbona. Quale é la differenza? Affittando una camera presso l'abitante, affitti principalmente una staza, nell'alloggio di un abitante di Narbona. Trovare una locazione arredata a Narbona equivale ad affittare un monolocale, un appartamento o una casa in cui il proprietario non vive. In entrambi i casi, le locazioni offrono servizi obbligatori. Grazie a Roomlala, puoi trovare un coinquilino o dei coinquilini a Narbona. Se hai già trovato un alloggio (casa, appartamento), puoi semplicemente publicare un annuncio gratuito per cercare i tuoi futuri coinquilini. Se non hai ancora un alloggio o dei coinquilini, puoi trovare una coabitazione a Narbona, nel quartiere che più Narbona ti piace, per brevi o lunghi periodi (camera in affitto al mese, all'anno). 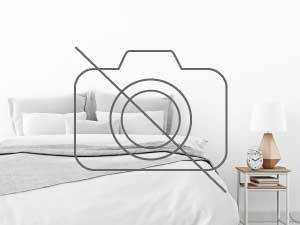 Per i brevi soggiorni, la nostra piattaforma vi permette ugualmente di cercare una camera presso l'abitante a Narbona o un Bed and Breakfast (camera a notte) a Narbona, in prossimità di luoghi turistici di Narbona. In occasione di un alloggio per le vacanze a Narbona, puoi visitare i luoghi caratteristici e passeggiare per la città. Un'altra possibilità: cerchi un alloggio in cambio di servizi a Narbona ? Roomlala ti propone annunci di locazioni in cambio di servizi come babysitter, aiutare le persone anziane, sostegno scolastico, assistenza a domicilio, alloggio intergenerazionale, aiuto studenti, portiere, soggiorno au pair, ecc.